This unique salt is derived from the rich waters of the Adriatic sea and crystallised in salt pools, covered with petola - a solid layer of very special and rare algae, various micro-organisms and minerals. It finds its origins in the warmth of the sun, the movement of the sea and the diligence of the salt workers. 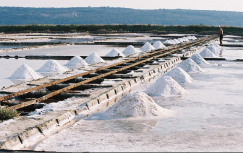 According to the legends of the early salt-pan workers, each individual salt crystal symbolizes this natural harmony. 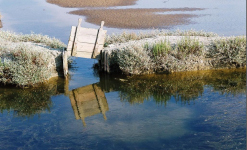 Harvested in the Secovlje Nature Park, the salt production contributes to the preservation of a natural and cultural heritage. 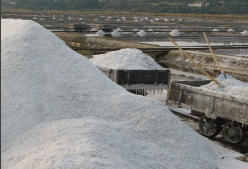 The major difference to other sea salts originates in the harvesting method. 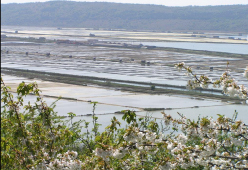 The salt from Piran is collected by hand at pre-ordained times every day from fields of organic salt-pan mud instead of concrete. 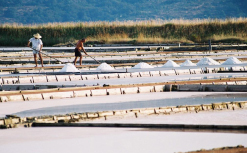 This traditional method is unique in Europe and gives the salt its exclusive flavour and characteristic properties. The salt is unrefined and harvested by the salt workers and not machines. The knowledge about this traditional method has been passed down from generation to generation for over 700 years in this region of the Adriatic. 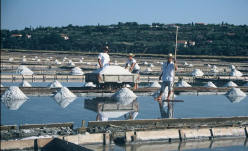 Once dried, the salt from the Piran Saline has a very unique taste which comes from the Mediterranean surroundings it develops in. It is rich in minerals and trace elements and free of any chemical additives. 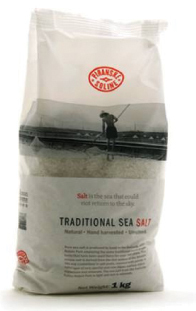 This salt has been certified for its quality by the renowned “Bureau Veritas”.